Have you ever looked at your dorsal fin — I mean, really looked at it? Dolphins, nature’s playful jokers, apparently have a little habit they’ve been keeping a secret: They get high. A BBC film crew recently captured some unusual footage of dolphins passing a puffer fish between them. 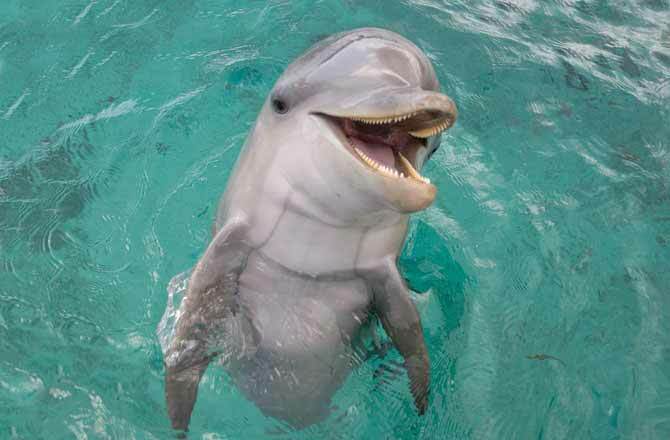 The fish then secretes a toxin — a defense mechanism — which the dolphins appear to enjoy — a lot. As the dolphins nudged the puffer fish back and forth, they fell into a trancelike state, reports the Guardian. “At one point the dolphins are seen floating just underneath the water’s surface, apparently mesmerized by their own reflections,” according to the Guardian. Filmmaker John Downer cleverly disguised underwater cameras as squid, tuna and other dolphins to record the footage. Downer told the BBC the dolphins handled the puffer carefully, so they wouldn’t hurt or kill it. CLICK HERE for the whole story, and lots of photos!